Inspired by the legend of Makaha, a handsome young chief. Ke Anuenue, goddess of rain, became so smitten with Makaha that she blessed his valley with double rainbows. The Makaha sunglasses are perfect for playing sports or catching rays at the beach, because the lens treatments and frames are saltwater safe. Neutral grey lenses are perfect for especially bright, direct sunlight. They offer rich color and contrast along with the highest available light production, unlike ordinary grey lenses that flatten light evenly across the spectrum. The PolarisedPlus , colour-infused lens technology wipes out 99.9% of glare, 100% of harmful UV and boosts colour via specially designed lens surface treatments. 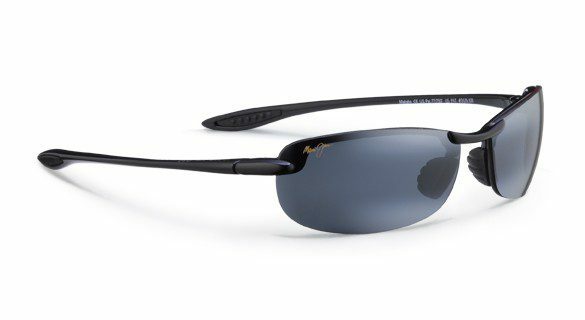 The semi-rimless frame offers an unobstructed view and superior comfort with Rubber on nose pads and temples that hug the head perfect for sport. 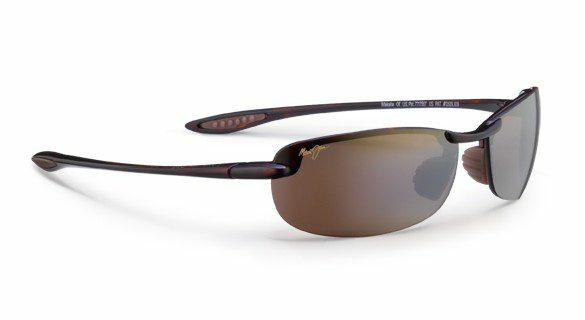 They come complete with Maui Jim case and cleaning cloth/microfiber bag.